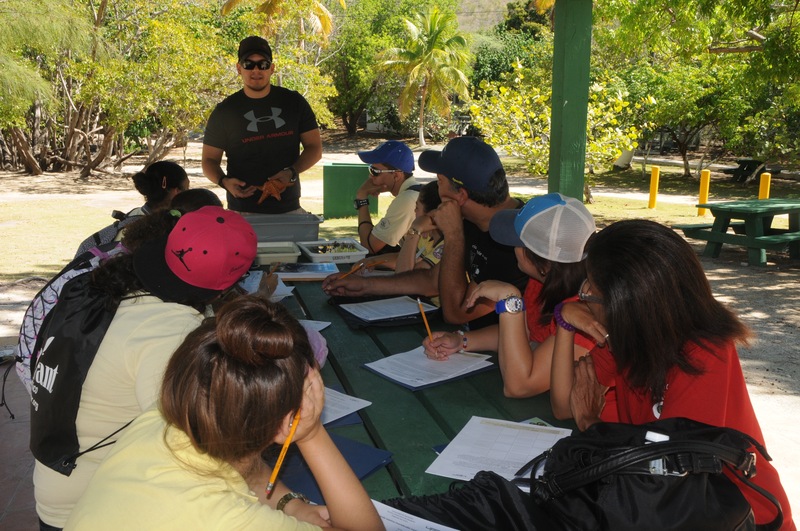 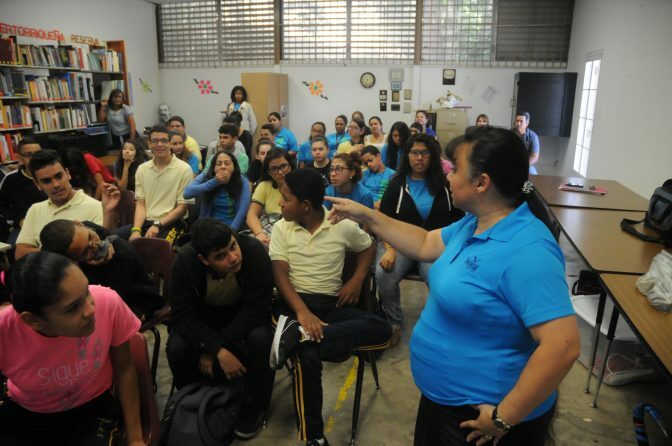 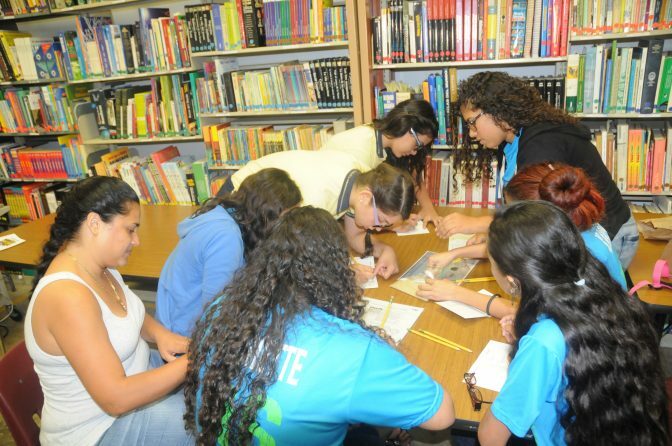 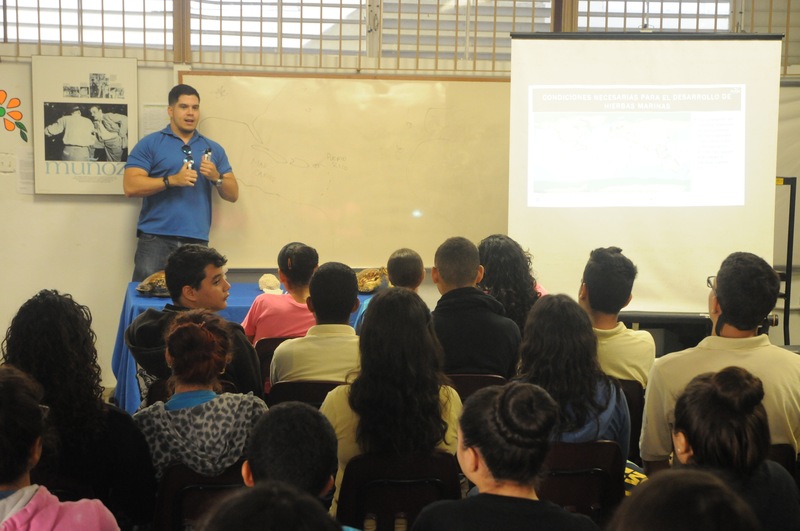 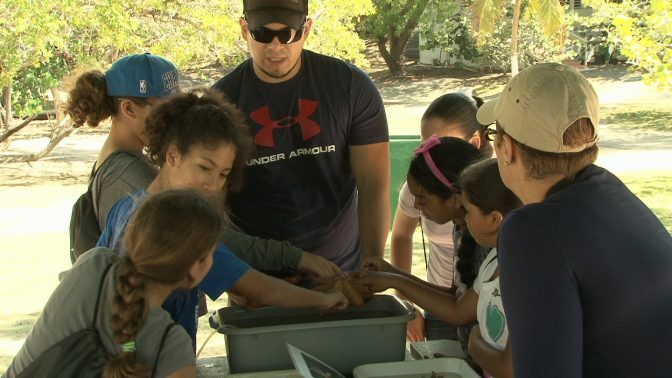 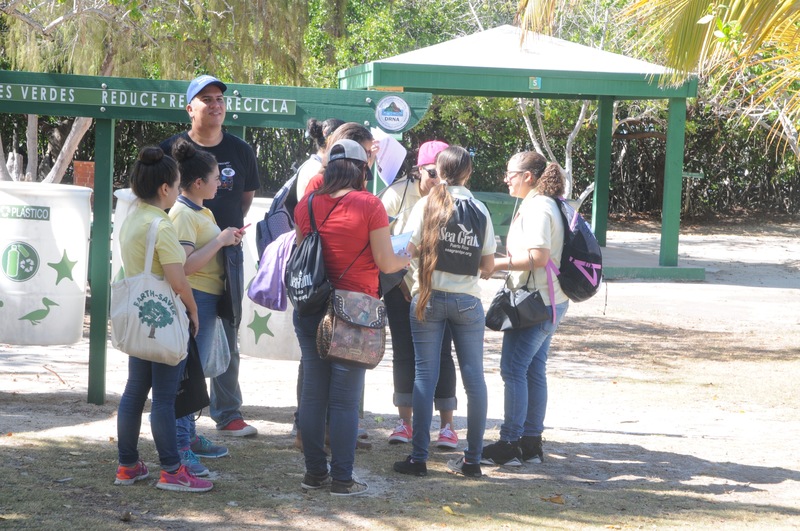 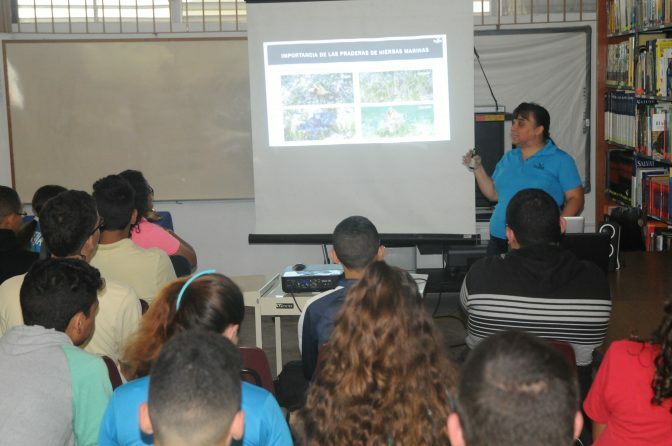 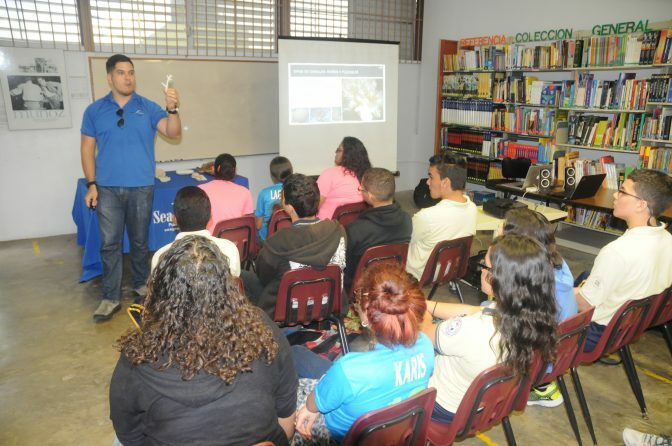 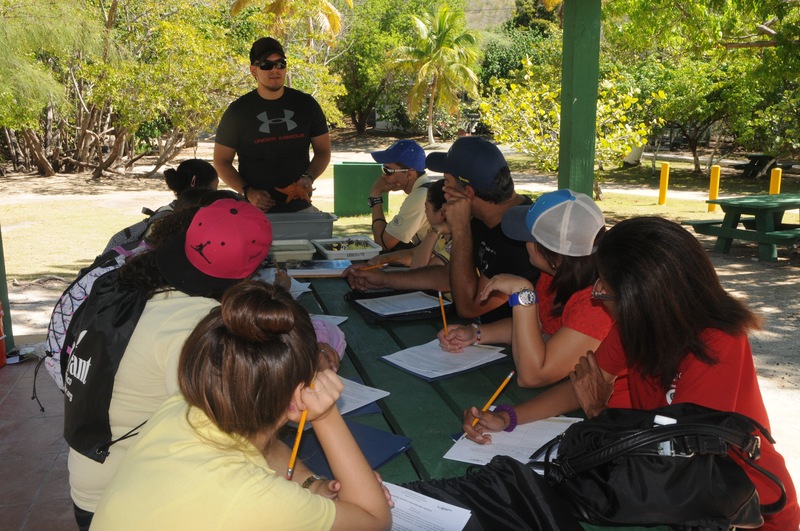 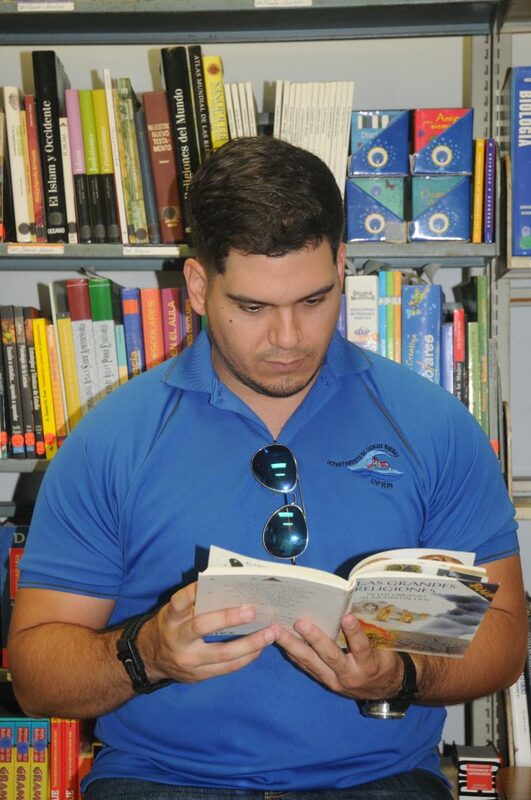 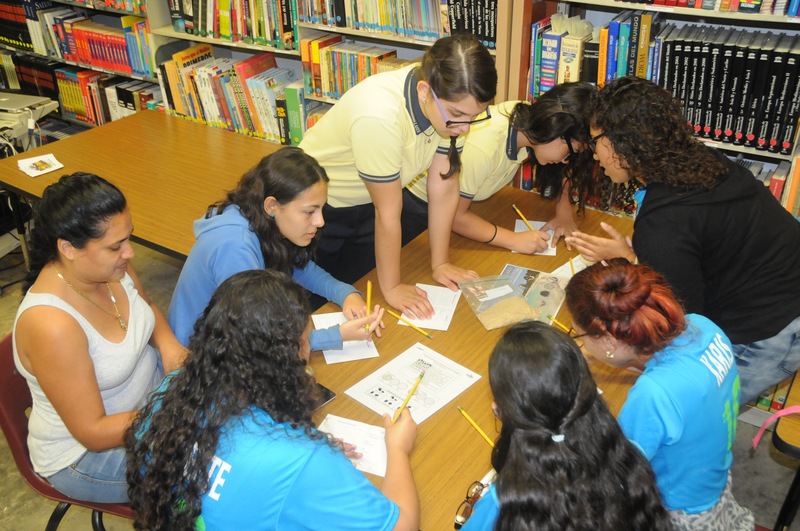 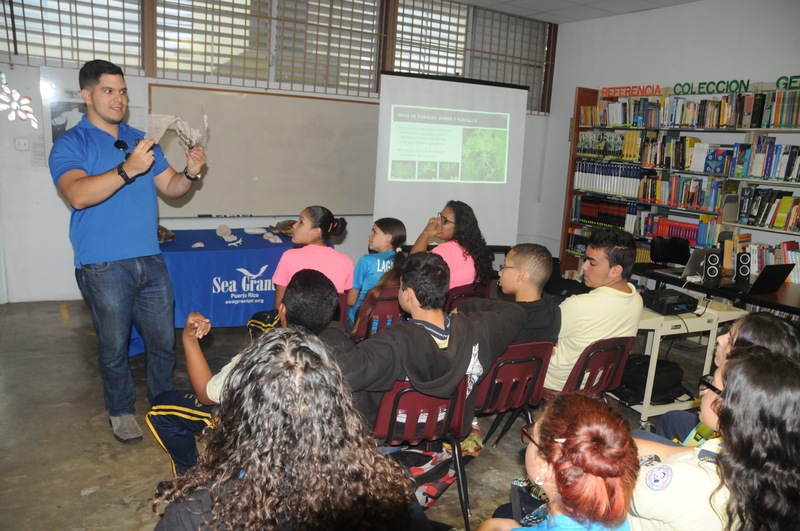 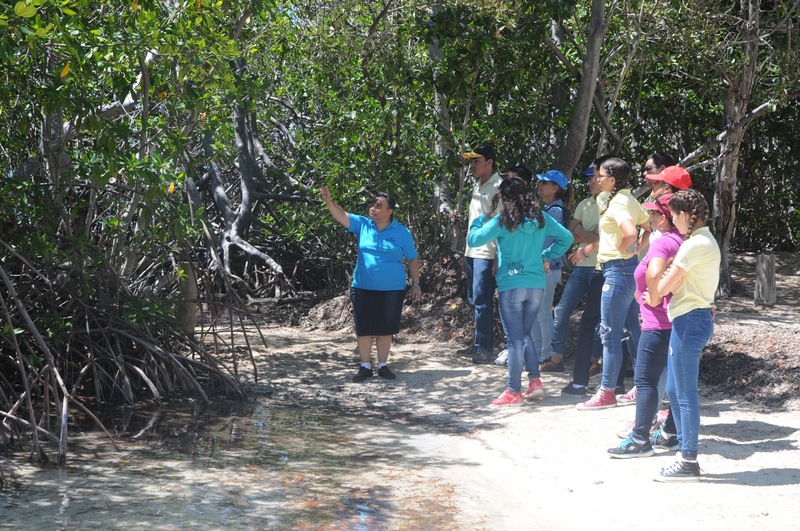 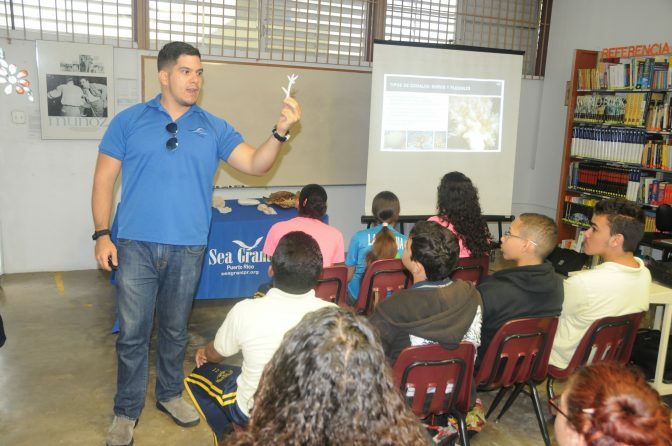 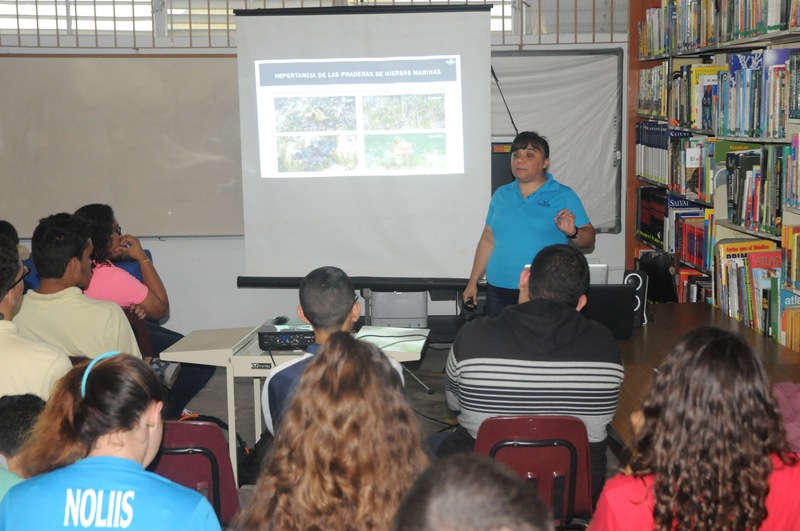 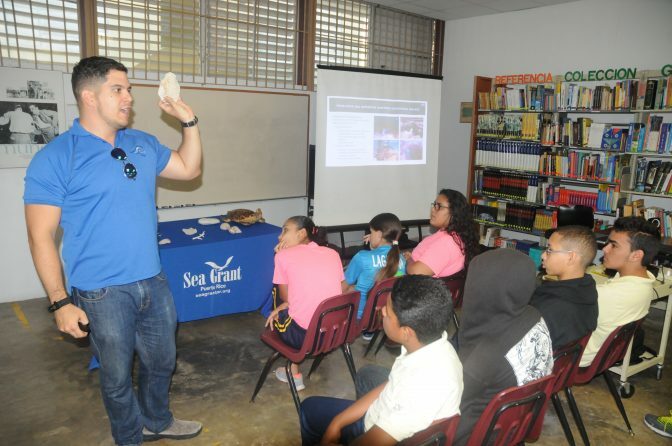 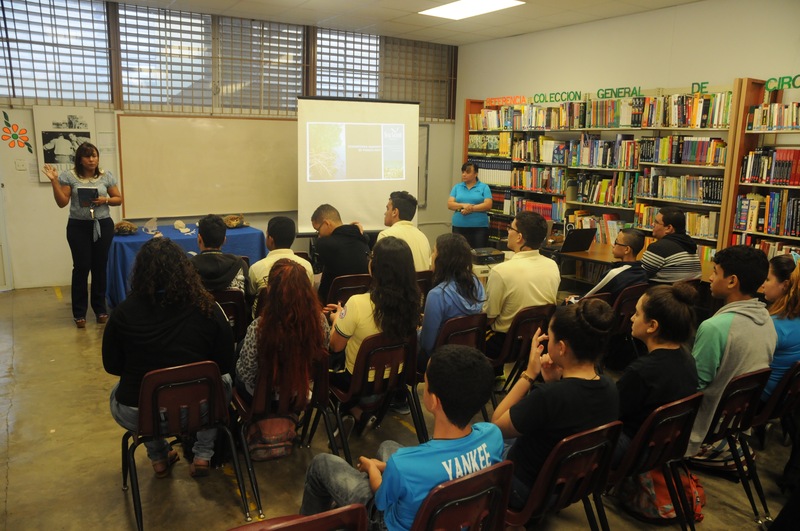 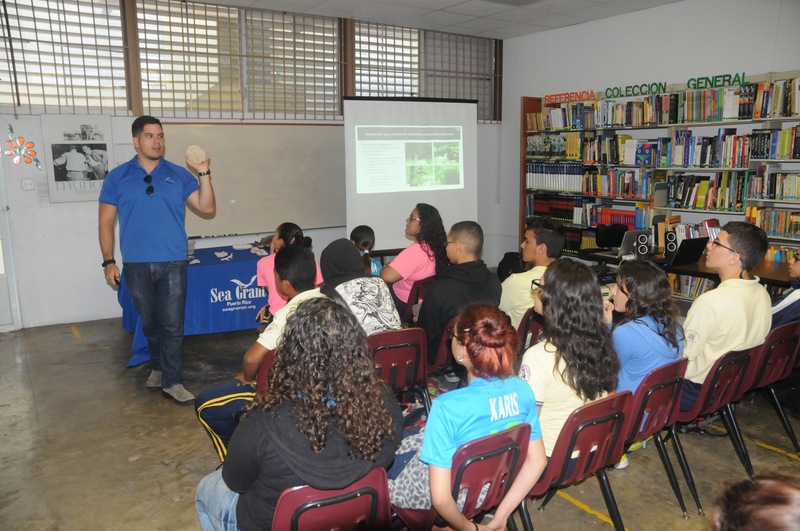 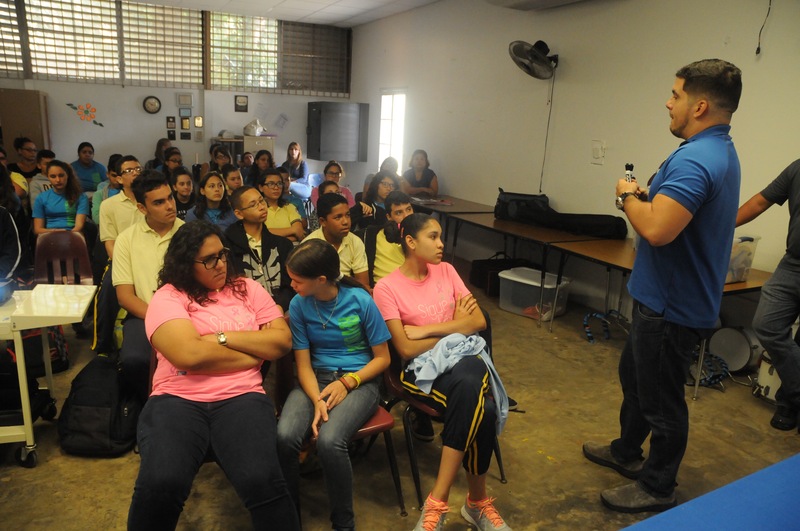 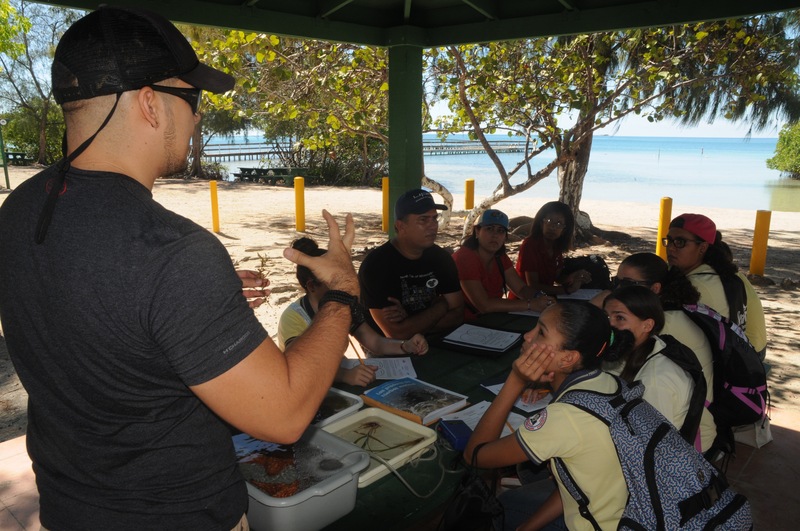 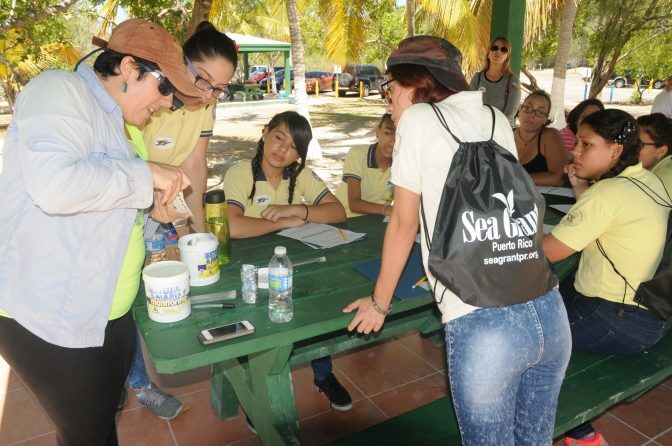 We offered a marine ecosystem workshop to students from the Luis Muñoz Marín School on Wednesday, April 13, 2016. 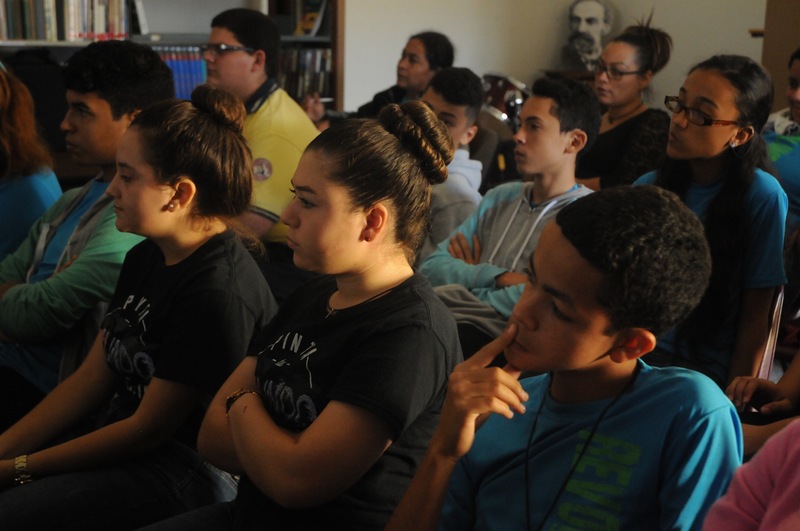 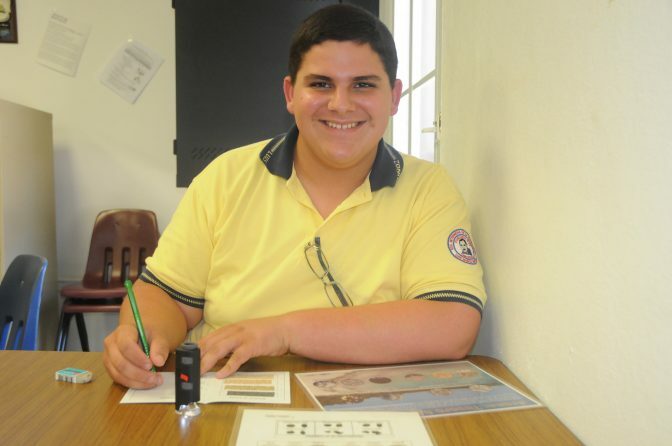 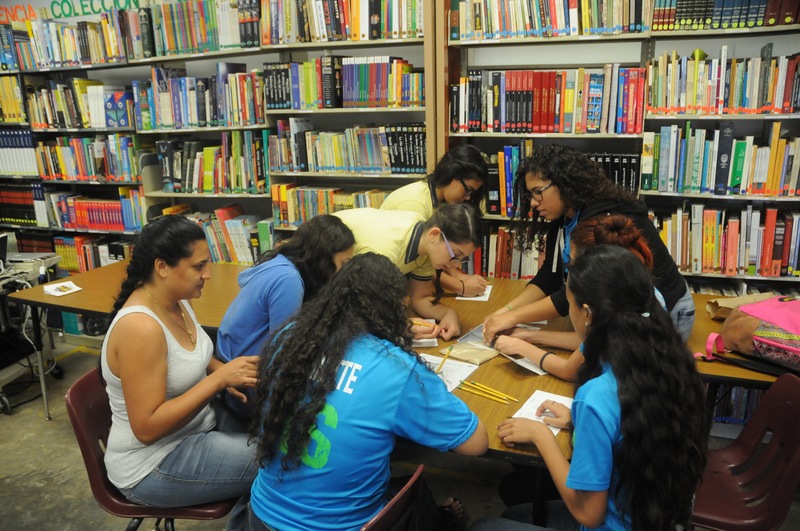 Workshop participants included a group of ninth-grade students, several teachers and several parents. During the workshop, they were lectured about the mangrove forests and the seagrass beds, performing an activity about the importance of the latter. 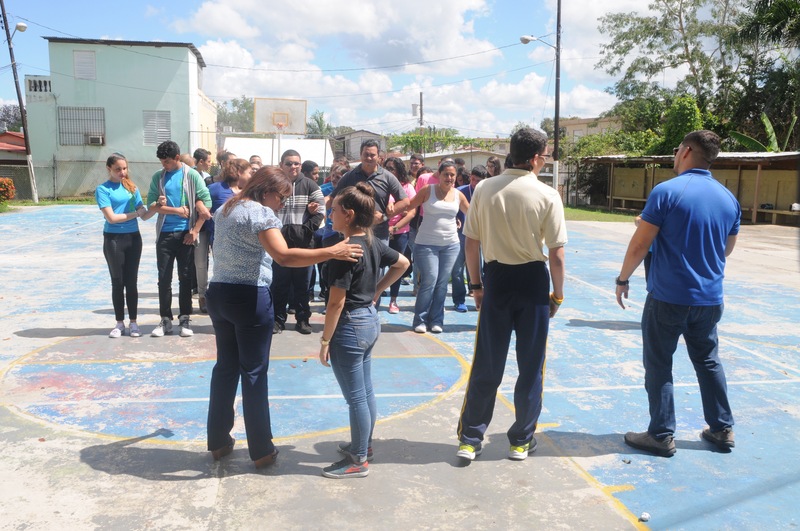 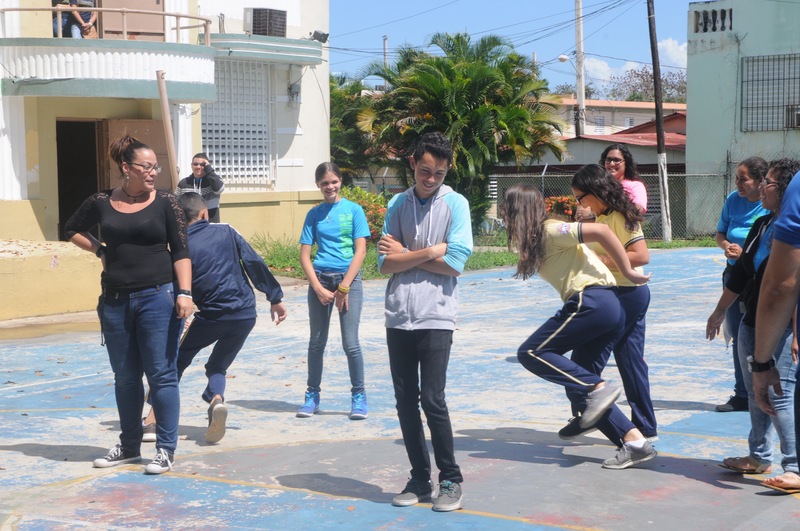 The game took place at the school court, and students had a lot of fun. Then we presented coral reefs as a topic. 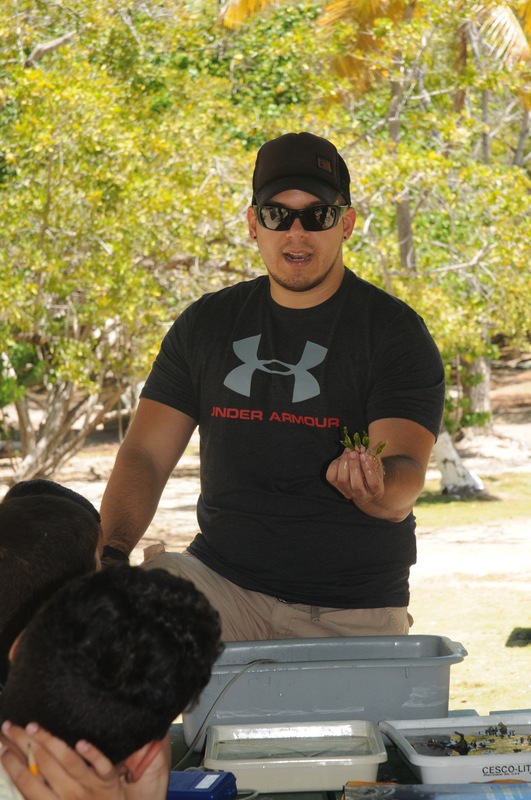 We offered students different coral samples that they could touch and feel their shapes and structures. 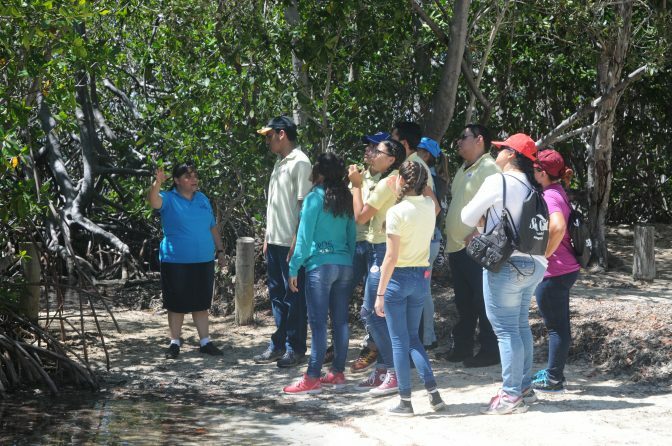 Then we showed them two types of sea turtle: green and hawksbill. To finish, we worked with different types of sand, so they could analyze it and determine their composition. 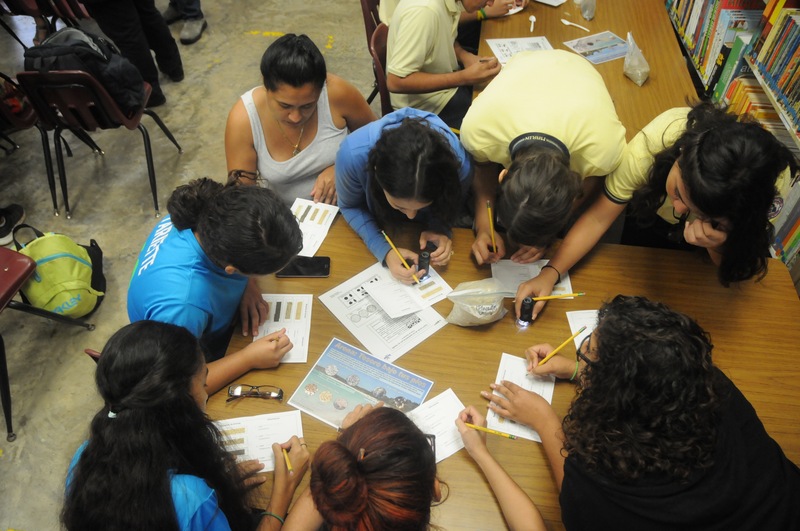 This workshop was also enjoyed by the participants. 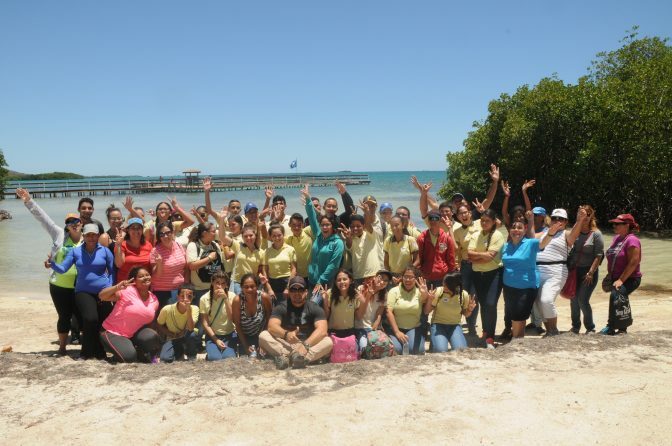 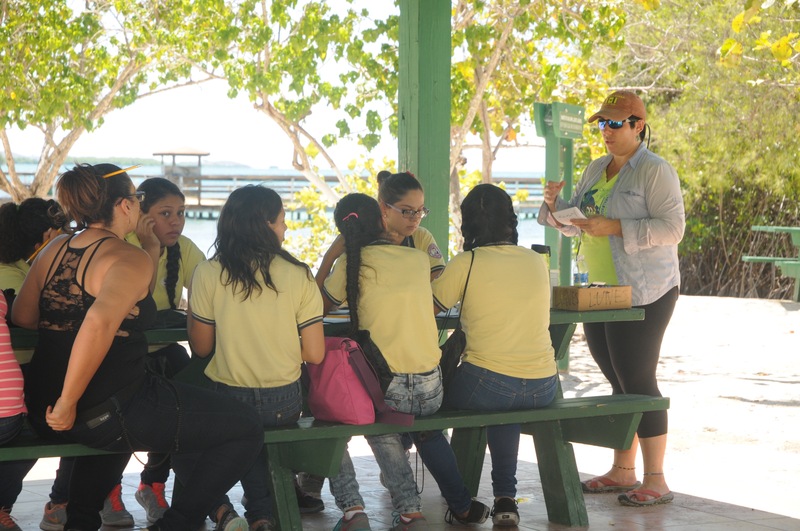 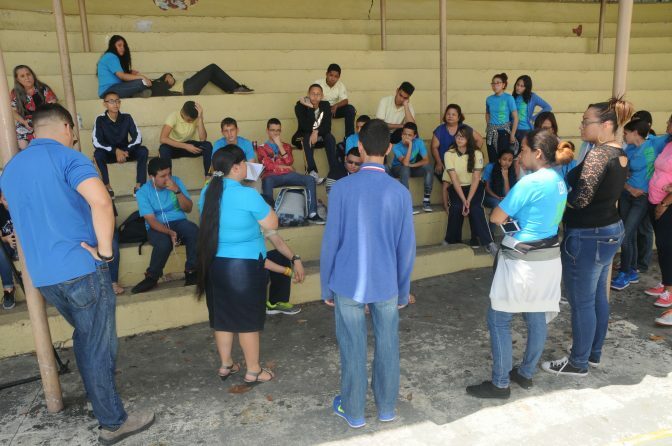 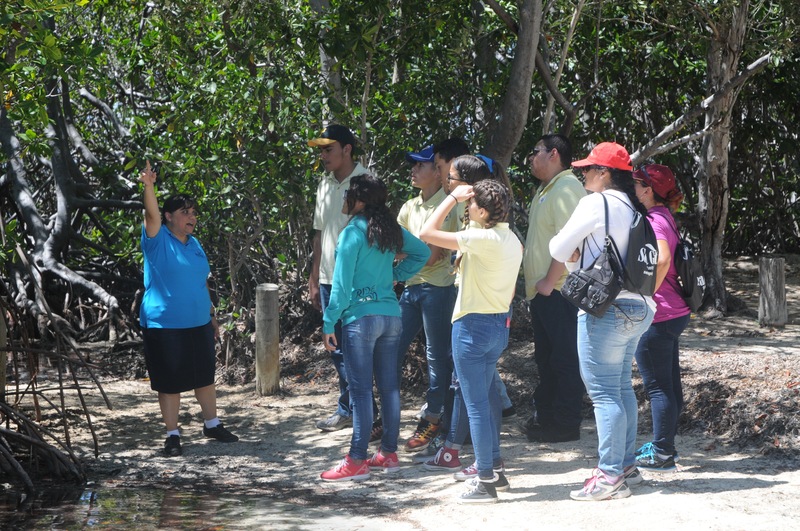 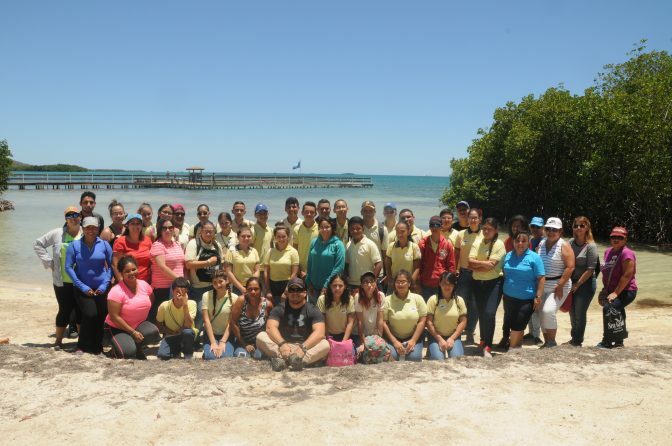 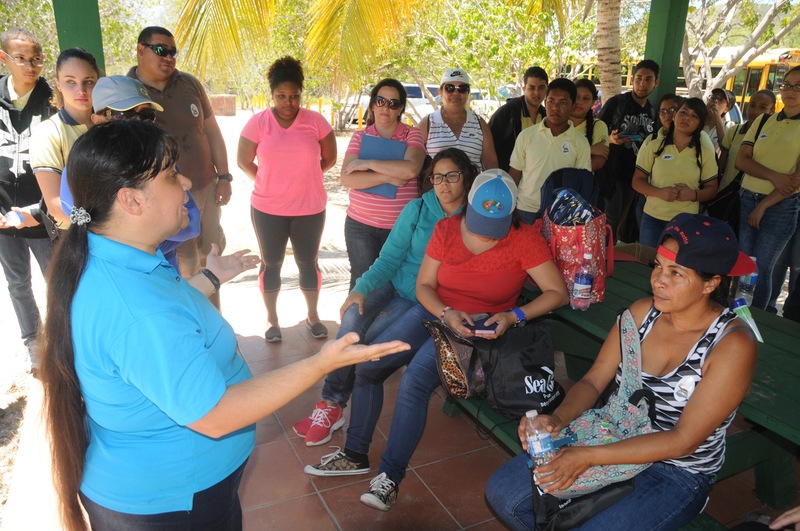 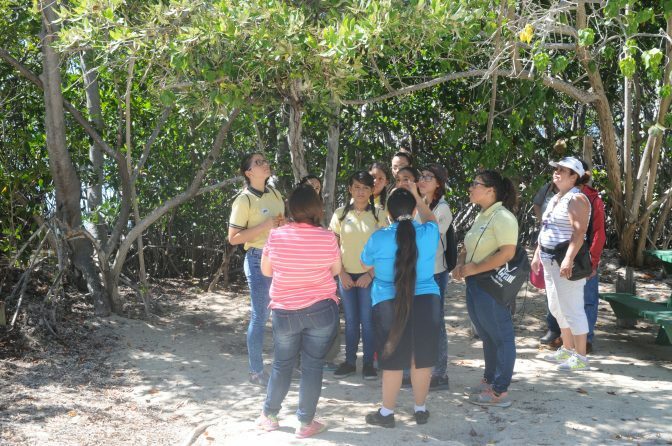 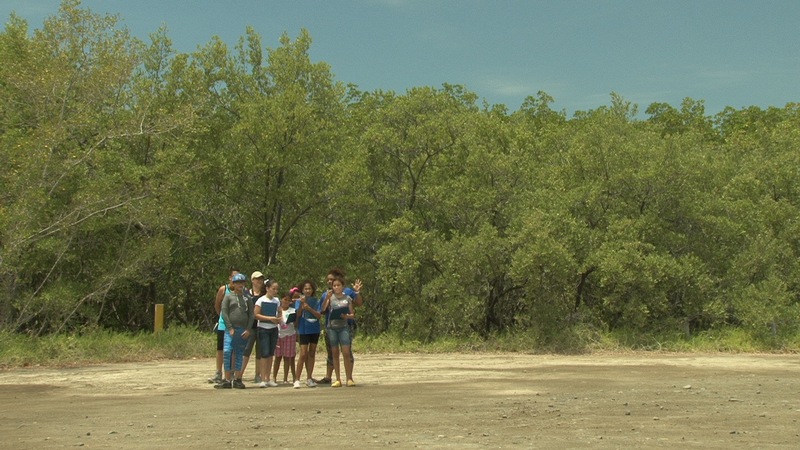 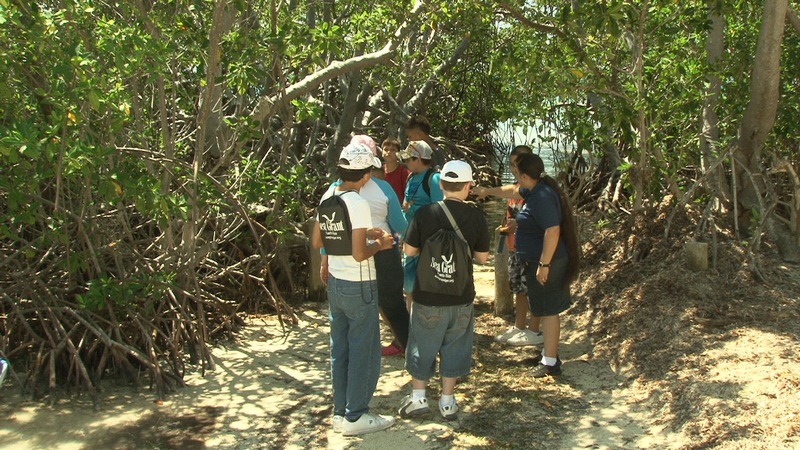 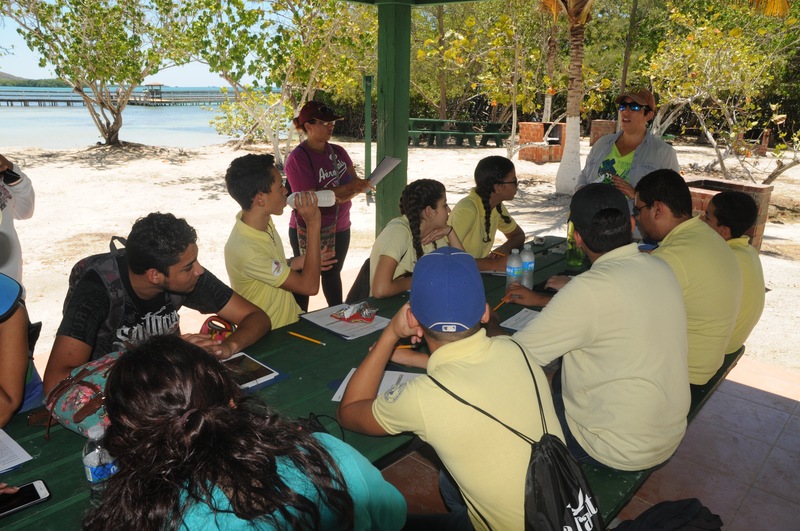 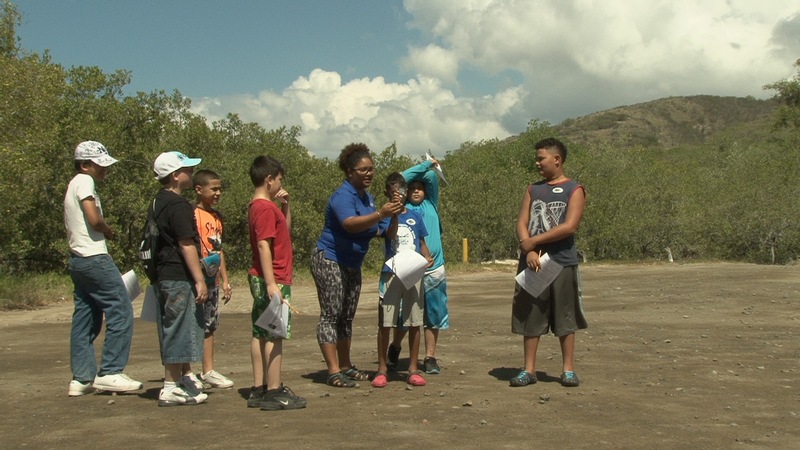 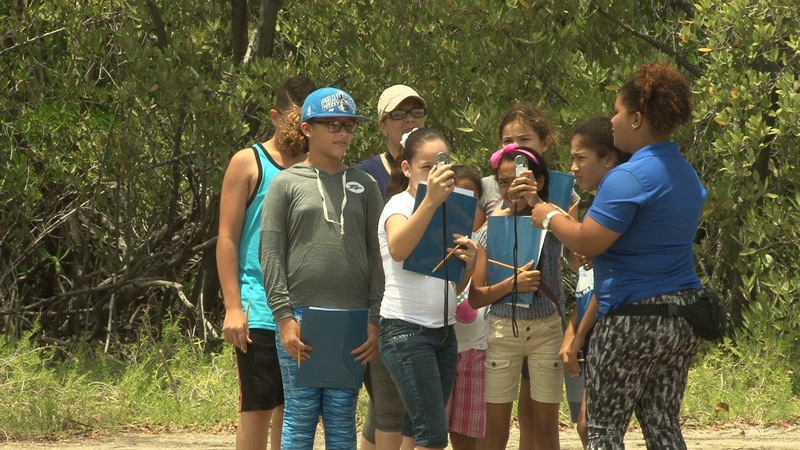 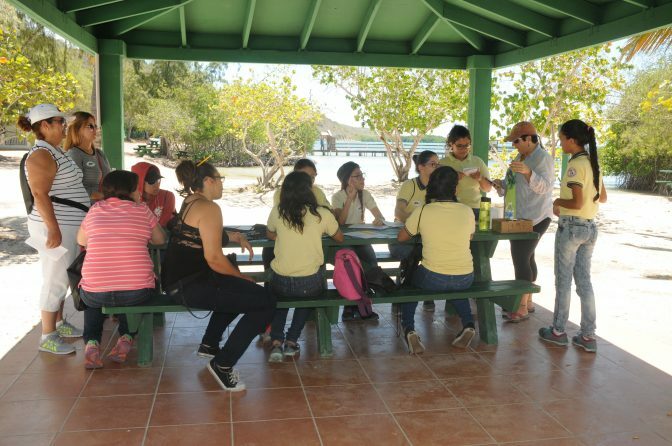 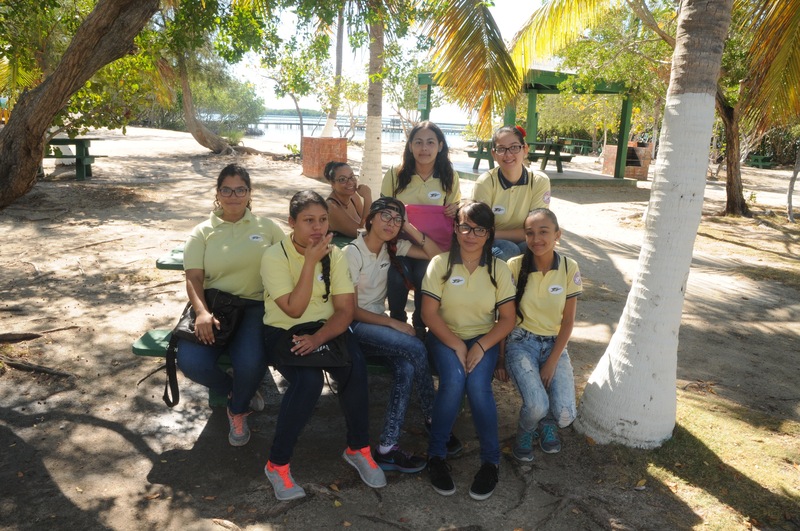 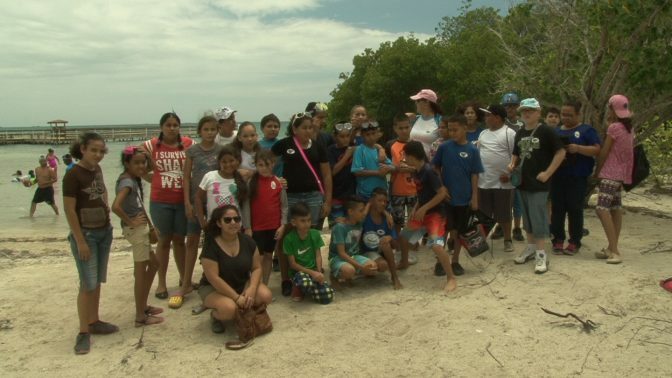 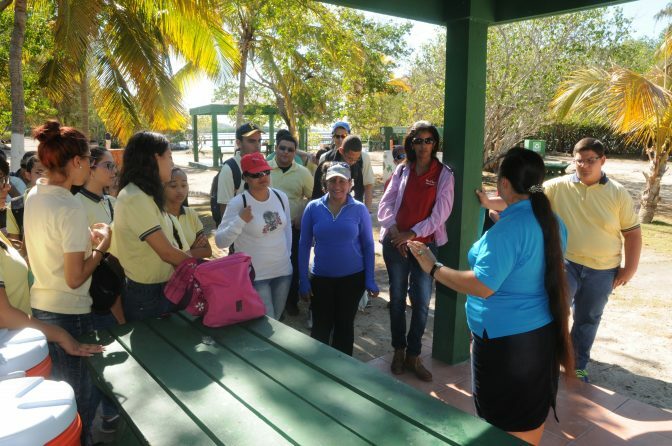 The next day, these students visited Playita Rosada in La Parguera, Lajas. They were very excited to see firsthand all the ecosystems we had studied the previous day. 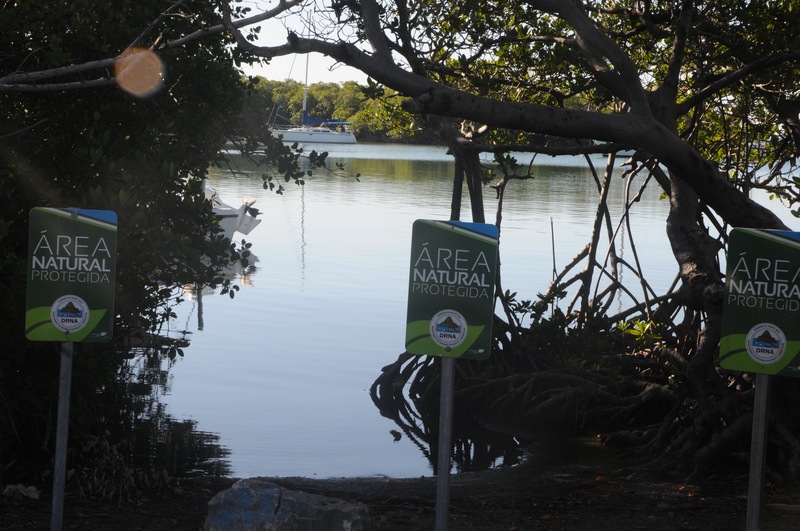 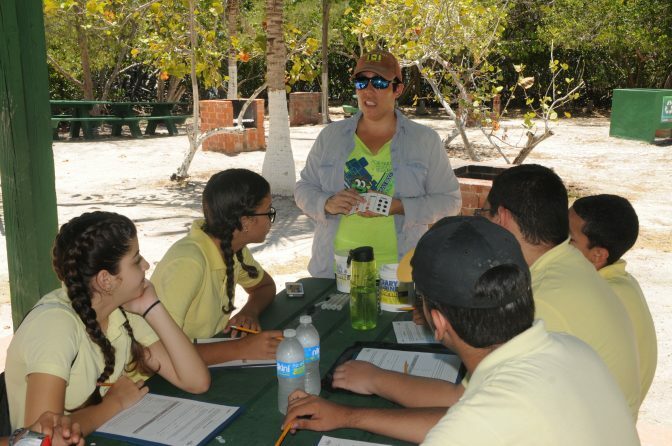 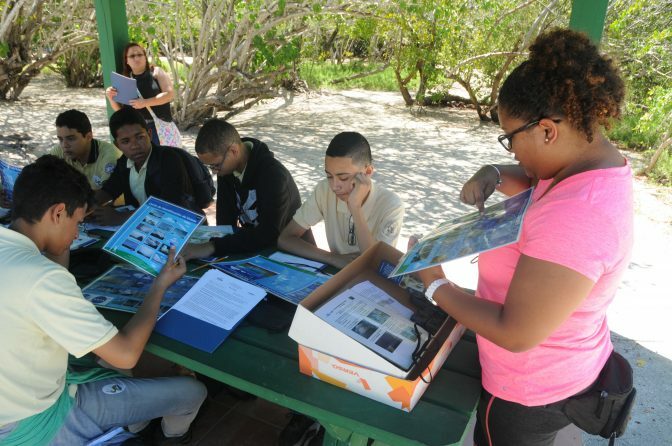 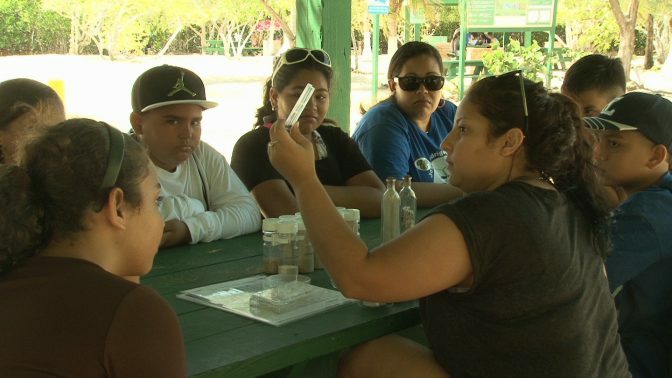 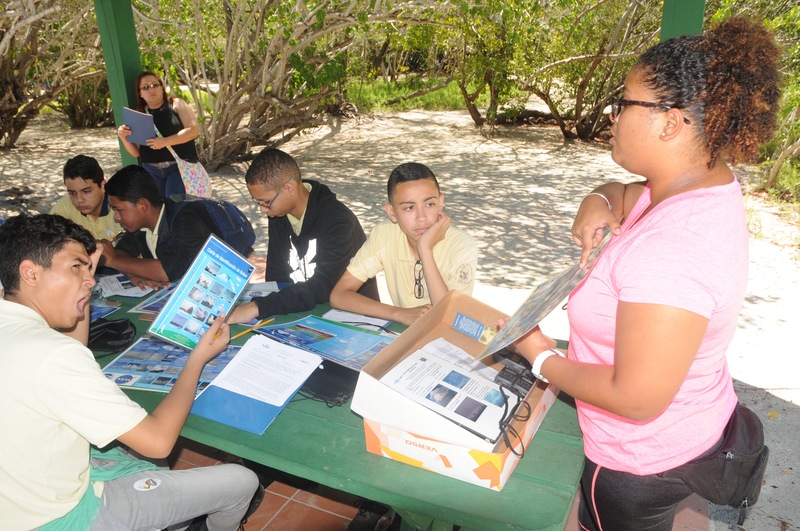 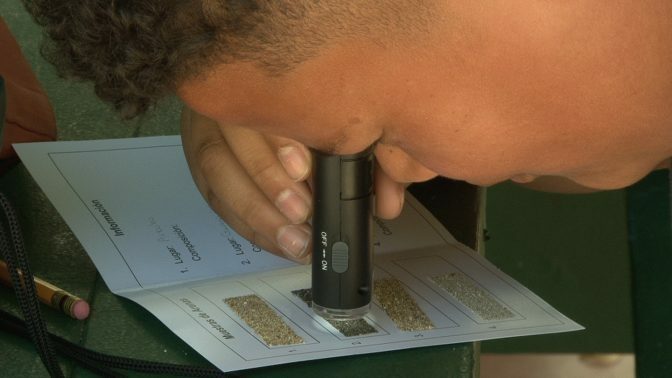 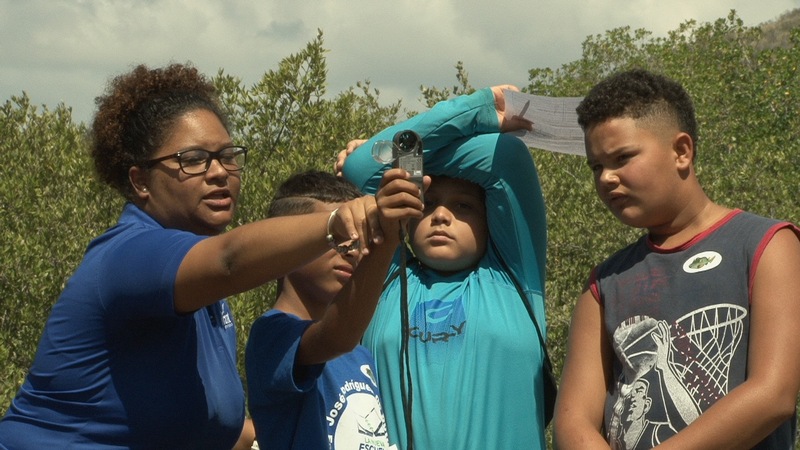 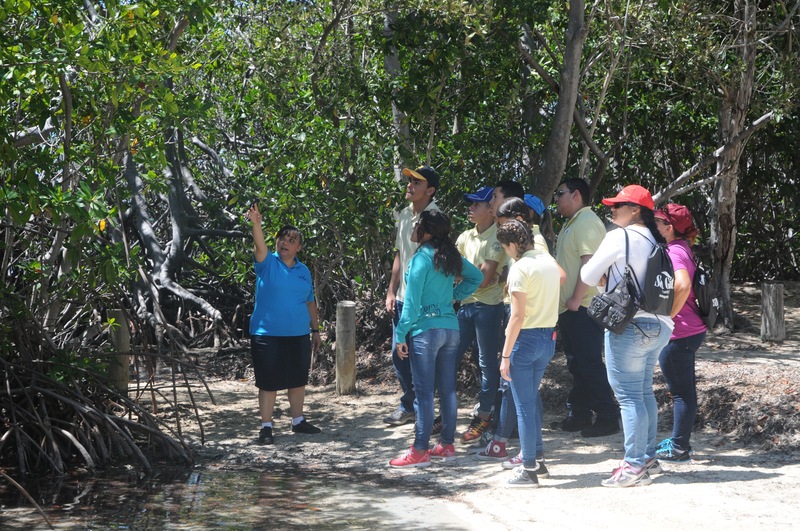 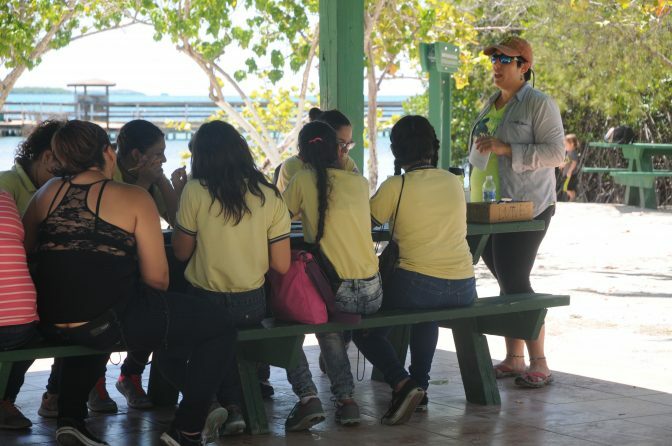 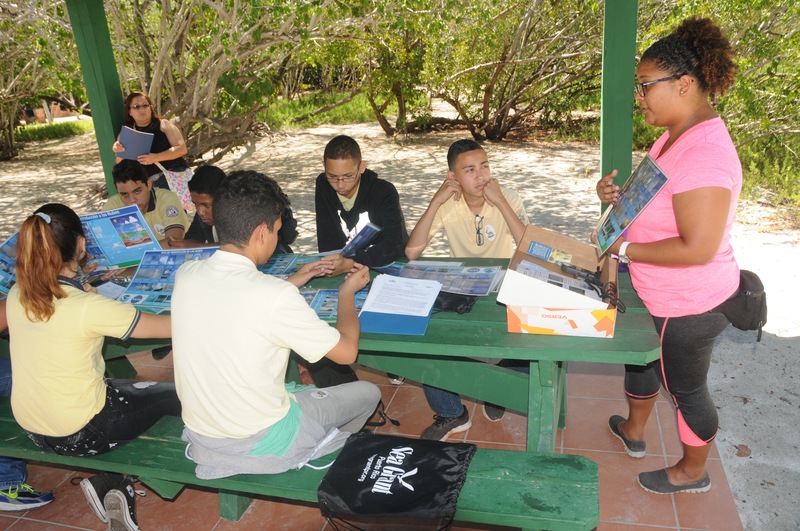 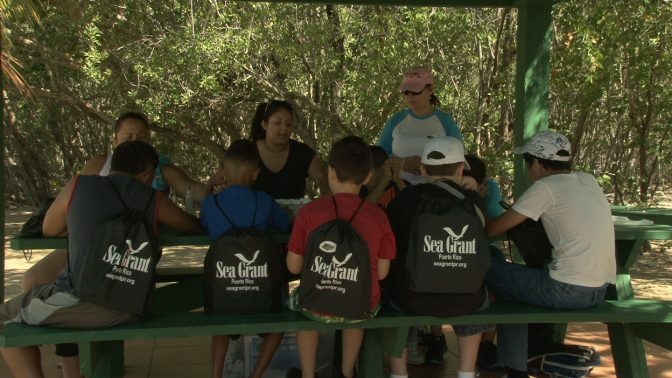 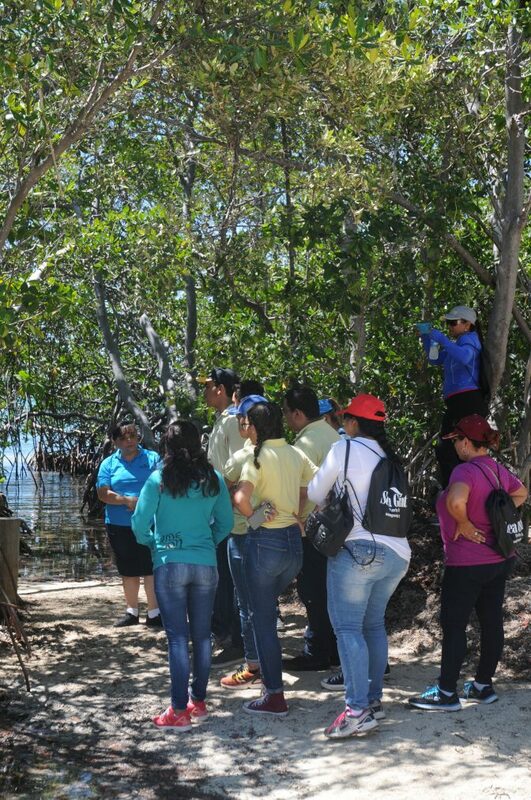 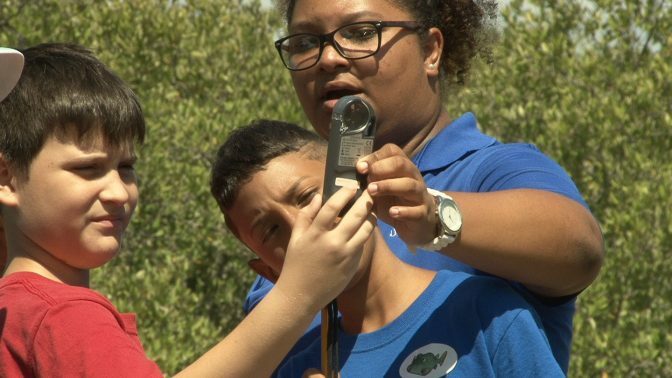 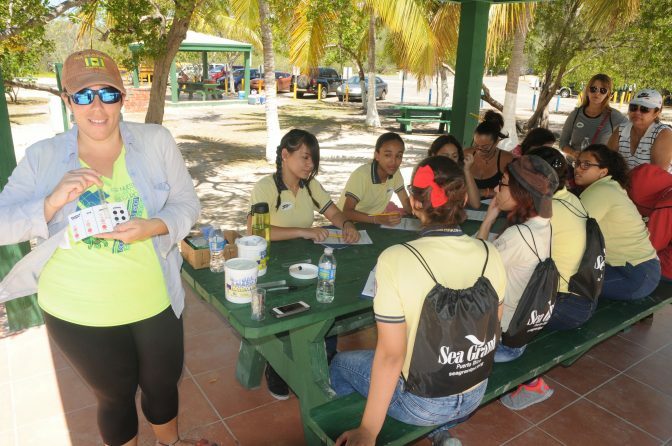 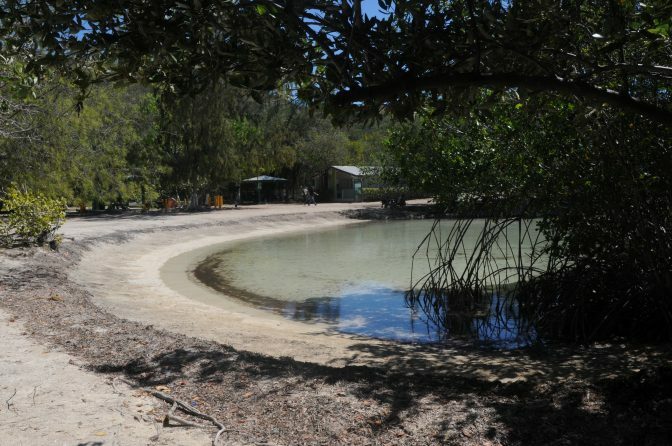 Students rotated among several stations in which activities were taking place that were related to these ecosystems and their components: mangroves, seagrasses, invertebrates, water quality and meteorology. 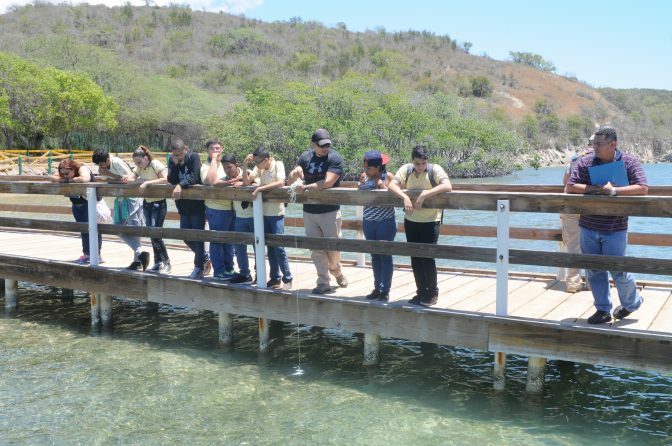 They loved seeing these marine and coastal resourced firsthand. 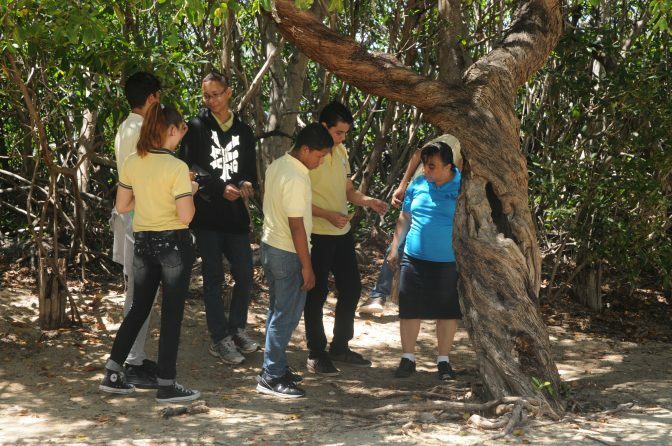 They learned many knew things and had a lot of fun during the fieldtrip.